The MY 2015/16 wheat harvest reached 27.2 MMT, the largest crop since independence in 1990. Production for the rest of grains for MY 2015/16 decreased: corn – down to 23.2 MMT, over 18 percent decrease; barley – down to around 8.7 MMT, over 7 percent decrease; rye – down to 391 thousand MT, over 18 percent decrease, versus the previous MY. Ukraine is boosting grain exports to China while slowly increasing to the EU market as well. The milling industry is growing export volumes as well as diversifying market outlets. Ukraine's 2015 harvest resulted in an around 26.5 million metric tons (MMT) of wheat, 23.2 MMT of corn, 8.3 MMT of barley, and 391 thousand MT of rye according to data by the State Statistics Service of Ukraine (SSSU). This data does not include information about crops harvested in the Crimean Peninsula. According to Post's estimates Crimea produced around 742 thousand MT of wheat, 463 thousand MT of barley and 5 thousand MT of corn in 2015. In 2015 wheat production increased by 10 percent, which makes it a record-breaking harvest, while corn production plunged by over 18 percent; barley and rye production decreased by over 7 percent and 18 percent, respectively, compared to the 2014 crop. According to SSSU's data, 2015 planting areas for winter crops totaled: winter wheat – almost 6 million hectares, barley – 983 thousand hectares, and rye –145 thousand hectares. Compared to 2014 areas for all winter crops are down: wheat dropped by around 12 percent; barley – by 8.4 percent and rye – by almost 3 percent. Such a decrease in planting areas might be attributed both to unfavorable weather conditions as well as sliding down domestic grain prices. According to the preliminary data reported by the MAPF, Ukraine exported over 10.9 MMT of wheat, more than 8.9 MMT of corn and over 3.9 MMT of barley since the beginning of July1, 2015 through January 26, 2016. Official data from the State Fiscal Service of Ukraine indicates that from July through October 2015 Ukraine exported: over 7.5 MMT of wheat; almost 3.4 MMT of barley; and 7.8 thousand MT of rye. - Middle East – almost 681 thousand MT, a 10-percent decrease compared to same period in 2014. For July-October 2015 growth of exports to East and Southeast Asia were attributed to: Thailand importing 1.1 MMT, 3.5 times increase; South Korea – 0.7 MMT, 58 percent increase; and Indonesia – 0.6 MMT, 4 times increase compared to same period in 2014. Decreased sales to Africa are mainly tied with a fall of sales to Egypt, which is the traditional buyer of Ukrainian wheat, down to 0.9 MMT for July-October 2015 or 40 percent lower compared to same period in 2014. Increased exports to the European Union for July-October 2015 are attributed to growth of sales to: Spain – 663 thousand MT, increase by 6 percent; Netherlands – almost 69 thousand MT, increase by 44 percent; Italy – 295 thousand MT, 2.5 times increase compared to same period in 2014. - European Union – almost 8.2 thousand MT, almost 2.8 times increase compared to the same period in 2014. The growth of milling product exports is likely a result of national processors' efforts to penetrate other destinations as their traditional markets among Customs Union member countries are gradually closing down for Ukrainian product. The supplies of flour to all Customs Union Members (excluding Belarus) are expected to decrease even further for the rest of MY2015/16 following the decision of the Russian Federation to suspend transit of Ukrainian goods through its territory since January 4, 2016. The growth of exports both for wheat and products of the milling industry to the European Union could have been supported by a 0.95 MMT Tariff Rate Quota offered to Ukraine under the Deep and Comprehensive Free Trade Area (DCFTA). - European Union – around 182 thousand MT, an almost 3.8 fold increase compared to the same period in 2014, supported by a 250 thousand MT Tariff Rate Quota offered to Ukraine under the DCFTA. Rye exports reached a mere 7.8 thousand MT for July-October 2015, almost 20 percent down compared to the same period of 2014, which reflects continuously sliding production volumes for this crop. Almost all this amount (7.5 thousand MT) was shipped to Bangladesh, which is the new buyer for this product. - European Union – almost 6 MMT, a 39 percent increase compared to MY2013/14 supported by a 400 thousand MT Tariff Rate Quota offered to Ukraine under the DCFTA. Corn seed imports in Ukraine continued sliding down to almost 29 thousand MT for MY2014/15, a 48 percent decrease compared to MY2013/14. This might be attributed to a deteriorating economic situation induced by abrupt fluctuations of the national currency as well as decreasing worldwide grain prices. Both of these factors force farmers to cut their production costs, including switching to domestically produced corn seeds. As of December 1, 2015 wheat stocks were around 30 percent higher compared to the same date of the previous year due to higher yield. As of December 1, 2015 corn, barley and rye stocks were respectively 15, 22 and 47 percent lower compared to the same date of the previous year due to lower yields for these crops. Domestic prices for all major grain crops were relatively flat over the second half of MY2014/15 and significantly lower compared to the previous MY. This is likely the major factor that kept farmers from being engaged in very active sales since the beginning of MY2015/16. MY2015/16 wheat, corn barley and rye production volumes have been adjusted based on the most recent figures published by the SSSU. Production, Supply and Demand Data Statistics for wheat, corn and barley have been adjusted taking into account Crimean Peninsula estimates both in terms of area and volumes of production. Please see the Production section for more details. The abovementioned updates by SSSU resulted in deviation of Post's production data for MY2015/16 from USDA official numbers: wheat –by 233 thousand MT; corn –by 278 thousand MT; barley –by 44 thousand MT and rye –by 16 thousand MT. Post's corn import estimates for MY2015/16 are below USDA official numbers by 25 thousand MT. This reduction is based on the assumption that global commodity prices will likely remain depressed as well as the national seed legislation will likely be effectively liberalized (please see Policy section). 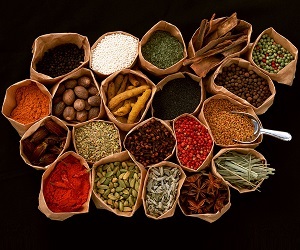 Both of these factors would stimulate farmers to opt for domestically produced seeds. Post's corn export estimates for MY2015/16 are below USDA official numbers by almost 1.1 MT based on lower official production numbers reported by SSSU. Ukraine's difficult economic situation and its subsequent influence on consumer demand are expected to reinforce the trend toward reduced animal inventories. In turn, it is forecasted that domestic feed consumption for corn would further decrease reflecting this trend while wheat, barley and rye feed consumption would remain stable for MY 2015/16 based on significant downward domestic price trend for these crops. On these grounds Post took a more conservative approach toward reduction of feed estimates compared USDA's official numbers for all major grains. 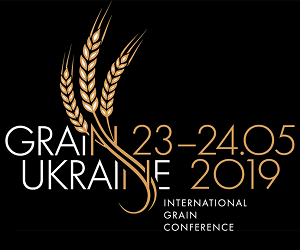 The Minister of Agricultural Policy and Food of Ukraine and representatives of non-governmental organizations signed a non-binding Memorandum of Understanding (MoU) on grain exports for marketing year 2015/16. This is the fourth year that the MoU has been signed. In January 2016, Ukraine amended national legislation by easing the administrative procedures for importers and exporters of selected agricultural products. The administrative procedures that have been changed impact: imports of reproduction materials for animals; imports or transit for products of plant origin; and exports of products of plant origin designated for feed use. Also in January 2016, Ukraine amended the national legislation by easing domestic administrative procedures for seed registration and imports.